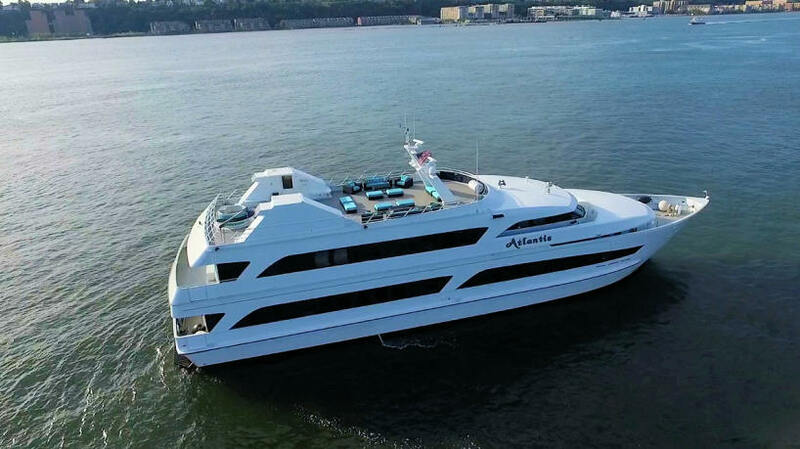 The Atlantis is a 147ft NY private yacht charter that can accommodate up to 300 guests with up to 225 person seating on one deck. 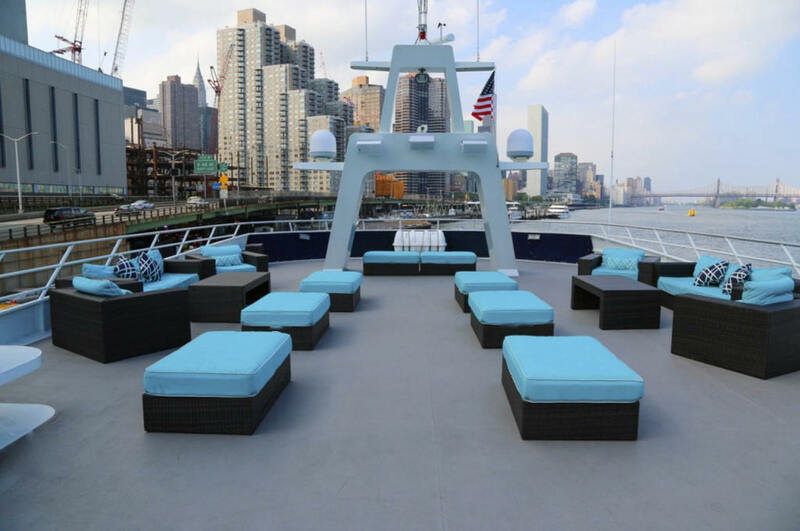 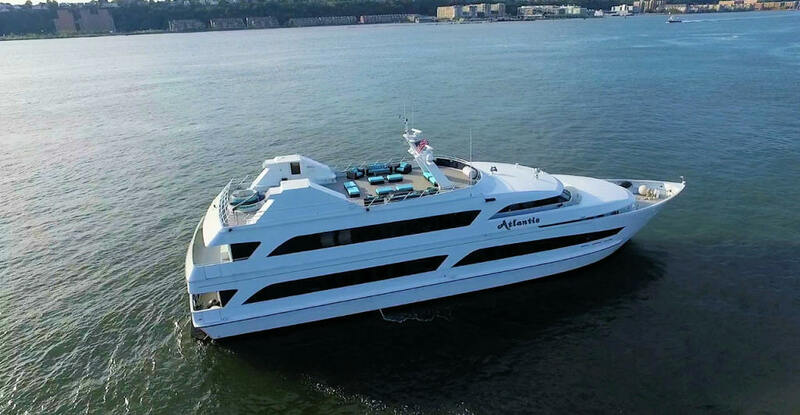 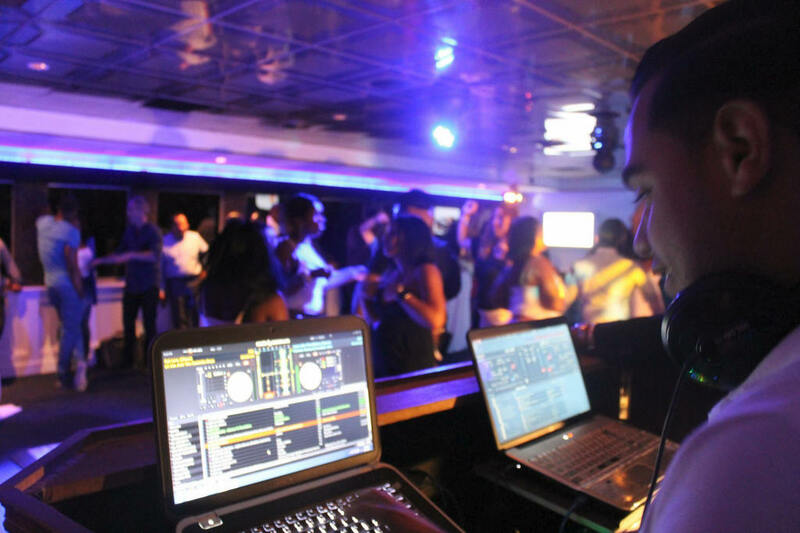 The Atlantis is one of the newest and most luxurious yacht charters in the New York harbor. 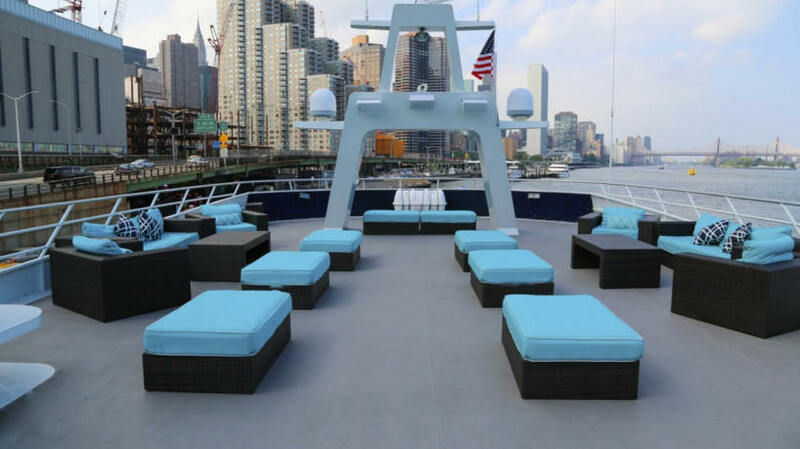 The Atlantis is a New York charter yacht complemented with the utmost in service while offering exquisite catering and great service. 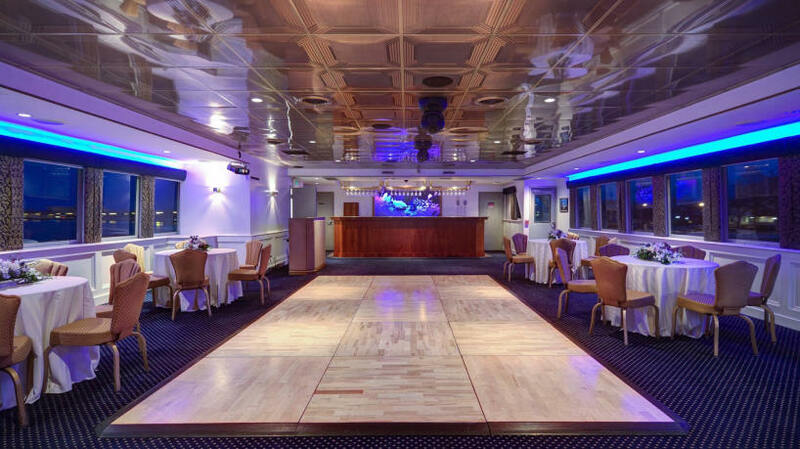 There are three decks. 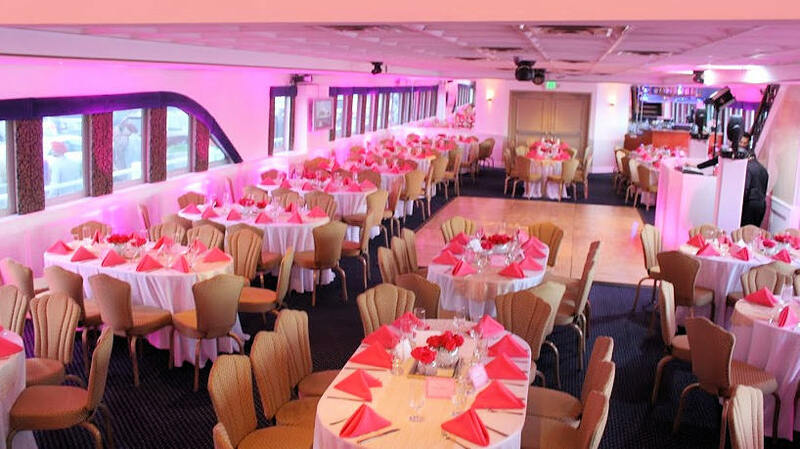 Two of which are fully enclosed. 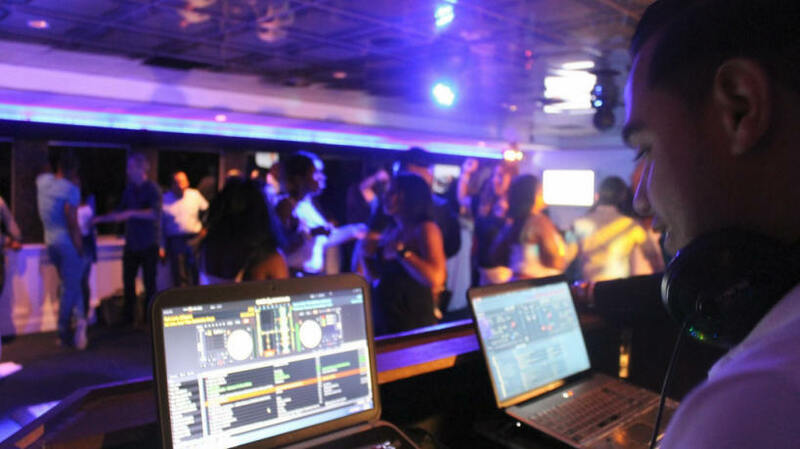 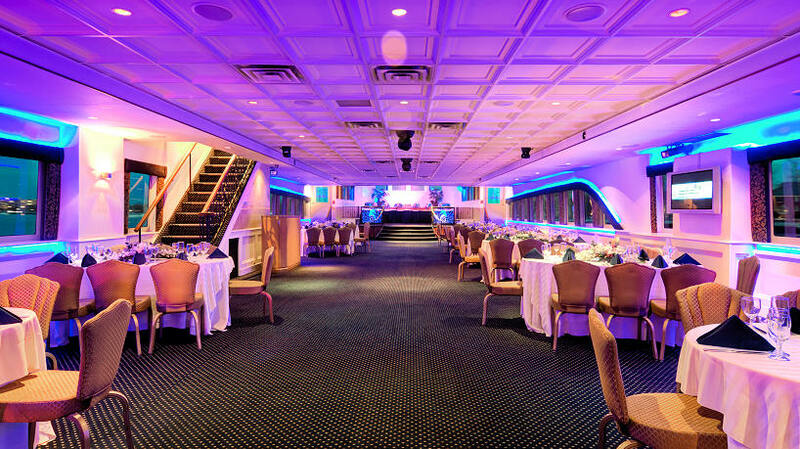 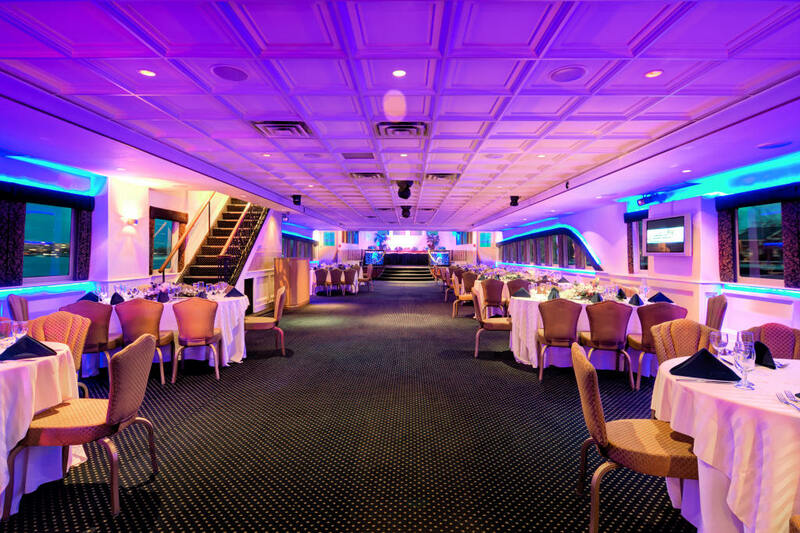 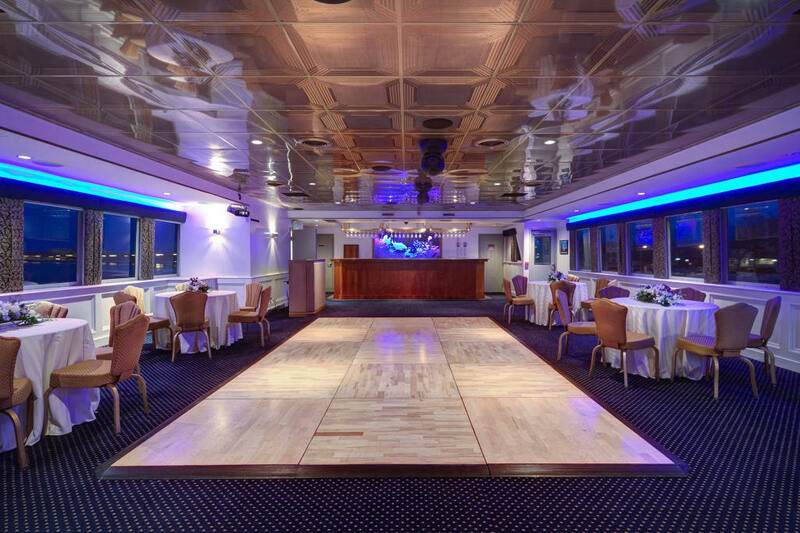 The first deck houses our formal dining salon, together with dance floor & platform dais, with access to outer decks at the bow and the stern. 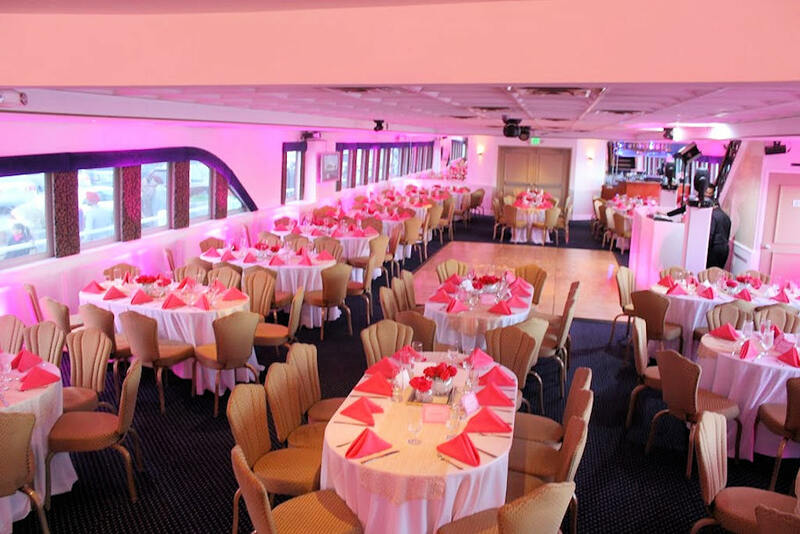 Admission to the next level can be attained via the grand staircase; this level is used mainly for cocktail hour and has a large bar area and lounge, and a luxurious bridal suite for your wedding cruise.